We are one of the few leading international law firms to have expert and dedicated technology and digital teams across Europe and Asia Pacific. We believe the only way to provide legal services that support and complement our clients is to have a deep understanding of the sector in which they operate. Distributed ledger technology (DLT) is a fast-evolving and hyped area of technological development that we have embraced, both as a firm and in our advice to clients. We have processes and platforms in place for identifying, generating and sharing information across the global firm and our clients. Our experience in multiple sectors, coupled with insight into the technology itself as well as the regulatory environment in which it operates, enables us to translate this knowledge into effective advice and transaction delivery for blockchain projects, acquisitions and disputes. In addition to an increasing amount of blockchain related work, we also provide bespoke training sessions and regularly present to clients on DLT-related topics. We have been rolling out a series of blockchain seminars to a number of our clients across different sectors on how disruptive technologies including DLT and smart contracts might affect their businesses. Distributed Ledger Technology (DLT), commonly known as blockchain technology, is driving a new wave of innovation and productivity across many industries. Blockchain has the potential to revolutionise how businesses operate, by improving reliability, security and speed due to the decentralisation of transaction approval processes. This technology is seen by many as the most significant digital innovation since the internet, having the potential radically to simplify business practices between multiple participants or stakeholders. However, there remain a number of regulatory, technical, legal and practical challenges to the commercial implementation of this technology, which need to be overcome. The development of blockchain raises exciting opportunities for businesses across the globe. However, in addition to the numerous technical and operational challenges posted by this technology, a number of complex legal questions remain about how blockchain can be applied within existing regulatory frameworks and what are the legal implications of changing business practices to harness the benefits of this technology. Some of the key questions that arise in this context are set out below. This list is far from exhaustive, however. Which legislative rules and restrictions apply to the parties' operations on the blockchain? How can the relevant regulators or tax authorities properly enforce any applicable regulations or laws against entities that exist only on the blockchain (often operating through pseudonyms or 'public key' addresses)? What law applies to any agreements implemented between the parties on the blockchain? In what forum can any disputes arising from transactions on the blockchain be resolved? Who is liable for an error in the software code of the blockchain protocol or any smart contract that is implemented on the blockchain? 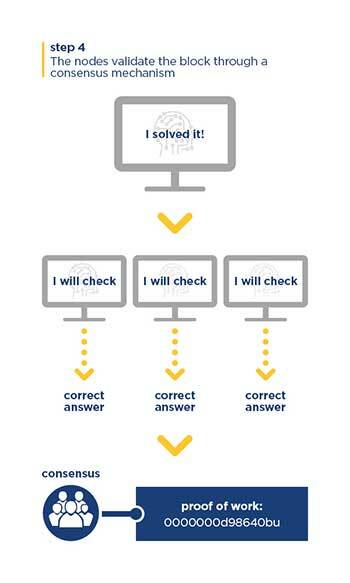 How can the error be corrected? How can the architecture of a blockchain protocol be designed to comply with the requirements of the European Union General Data Protection Regulation? Which entities operating on the blockchain are 'data controllers' and 'data processors' for this purpose? A potential game changer for the banking sector arising out of blockchain is cryptocurrencies. Blockchain is widely seen as a means to decentralise transactions in order to facilitate truly peer-to-peer trading. In most contexts, the 'middlemen' include banks and clearing houses because transactions involve the transfer of 'traditional' currency. 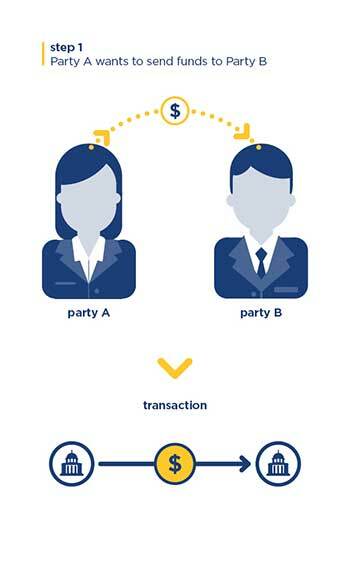 However, blockchain enables parties to transact with cryptocurrencies which exist only in a digital form and can be directly transferred from one user's account to another without an intermediary reconciliation and settlement process. Over the last couple of years, bitcoin and other cryptocurrencies have gained a lot of public and media attention. Banks are inevitably closely monitoring the impact of cryptocurrencies for their business. However, the application of blockchain in the banking sector is far wider than this. Banks are considering the use of blockchain as a record of who owns what instead of having a series of internal ledgers. This technology is seen as a means to enhance document security by strengthening authentication processes (e.g., through improved electronic signatures) and reducing forgery. Blockchain pilot schemes are also in development to provide digitised and secure platforms that arrange, secure and finance international trade transactions automatically. The intention is that this technology will allow market participants to implement trade finance transactions via secure smart contracts, track data in real time and digitally authenticate ownership of assets. Blockchain is also seen as providing greater redundancy than existing systems in the event of security threats or system failures. Blockchain could also be used to improve the process for KYC compliance significantly. Banks and financial buyers could share with each other a distributed ledger containing a full audit trail of all performed activities by clients, including the writing and editing of profiles and the payment of subscription fees. Other potential applications of distributed ledger technology in this sector include the use of blockchain to generate market trend analysis and forecasts, to streamline servicing and for the settlement of syndicated loans. One of the key benefits of blockchain is that it creates a secure audit trail, thereby improving inherent trust in transactions. Distributed ledger technology can be used in supply chains to create a record of provenance information and any changes in ownership or custody. This record can improve supply chain processes by providing increased transparency for all market participants. Use cases in the mining industry currently focus primarily on tracking commodities through the supply chain. Pilot schemes are already afoot to track diamonds from mine to consumer. Similarly, blockchain is being used to monitor the provenance of commodities used by businesses in their operations (e.g. to ensure that cobalt used to manufacture lithium-ion batteries for smartphones is not the product of child labour) and to access real-time data that is generated during delivery. Using blockchain technology, this data can be shared in real-time with various counter-parties, including vendors, contractors and shipping companies to increase efficiency and increase trust in the transactions. Current examples of blockchain pilots in the real estate sector focus on the transaction registration process and peer-to-peer property sales or rentals. Blockchain offers an opportunity to record and track property transactions in real-time (including acquiring, selling, financing, leasing, and managing of real estate), thereby streamlining the registration process, reducing future title search time, and increasing confidence/transparency. This technology offers the opportunity to create a reliable, decentralised and easily accessible ledger recording the life cycle of property (e.g., transfers, mortgages, leases, covenants etc. ), which can be accessed by all relevant stakeholders (buyers/ sellers, landlords/tenants, agents and lenders/borrowers). The technology could expedite a vast number of property transactions by reducing due diligence costs and time, reducing the potential for human error or fraud, eliminating unnecessary paperwork and improving the efficiency of data collected in order to manage properties and any associated costs (e.g. security deposits could be automatically adjusted for damages or repairs via blockchain-based smart contracts). Blockchain also offers opportunities to diversify real estate investments and to increase liquidity of real estate assets through asset-backed cryptocurrencies (i.e. by issuing tokens that represent shares in individual real estate assets, which can be traded in a more liquid and transparent market). It also allows for fractional ownership enabling multiple investors to acquire a property and lowering the barriers to real estate investing. Relying on a decentralised ledger could also reduce the need to involve brokers/other financial institutions in the process, with potentially savings on fees. Similarly, blockchain applications are being developed to facilitate peer-to-peer transactions in a more cost effective and transparent manner (e.g., eliminating fees for middlemen and the possibility of fake reviews and ratings). There is broad interest in the energy sector regarding the economic potential of blockchain-based energy solutions. Blockchain applications are currently being tested in this sector for a wide range of uses, including trading among multinationals, peer-to-peer and micro-grid energy sales between individuals, automatic billing for energy usage and more. For example, blockchain has the ability dramatically to improve transparency and accountability across the energy supply chain. Several pilot projects are already being developed to enable the gas trading 'on the blockchain' in a context that enables all participants to track and trace cargos to sources, provide confirmation of regulatory and counterparty approvals and accelerate the flow of shipments. In a P2P context, blockchain applications are being developed to enable real-time energy trading between individuals. In a peer-to-peer energy market running on a blockchain, all members of a network could enter directly into energy exchanges with any other member without the need for a centralised oversight by one, or a small number of, trusted intermediaries. 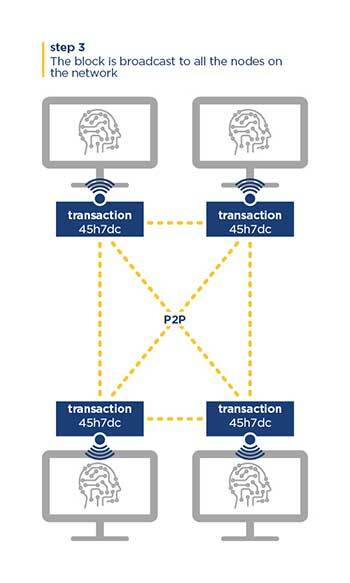 Blockchain multiplies the typical capacities of a peer-to-peer market through smart contracting, which permits more immediate and flexible peer-to-peer trading, based on supply and demand in the system from time to time. From providing a platform for universal electronic health records and allowing supply processes to be strictly regulated and controlled, to preventing fraud and providing certainty on payments as well as ensuring provenance in production and linking trial results, the potential of applying blockchain technology to the healthcare and pharmaceutical sectors is significant. 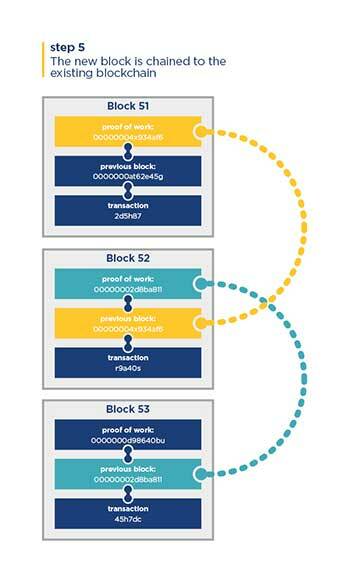 Blockchain offers the potential for market participants (including suppliers, buyers and regulators) to track and audit the supply process to ensure that the strict regulations and controls in the industry in connection with the transportation of products are complied with (e.g., in relation to the provenance of any given drug or, for example, temperature controls within the supply chain). Blockchain offers potential solutions for manufacturers seeking to connect directly with their ultimate customers, removing the need to sell their products through wholesalers and retailers. Major players in the consumer sector have signalled their intention to use blockchain to increase efficiency, transparency and authenticity to food supply chains globally. Two key benefits are perceived to be protecting brand owners’ data privacy, while facilitating online and offline traceability for food safety and quality management. This insight into the supply chain would encourage accountability and enable suppliers, regulators and consumers easily to access information which can be difficult to obtain due to the fragmented and document-heavy processes currently involved. Blockchain also offers interesting possibilities for retailers seeking to offer loyalty schemes to their customers. A Global shipping company found that a single shipment of refrigerated goods from East Africa to Europe could go through nearly 30 people and organisations resulting in more than 200 different interactions and communications registered on paper. Blockchain has the potential dramatically to simplify supply chain procedures and to increase transparency for all market participants. Blockchain also offers possibilities of automated tolls, instantaneous payments, better tracking of cargos and their security, and transparent pricing. Blockchain could also be used to track vehicle service and maintenance, fleet capacity, and compliance. Many transportation companies are wary of load boards because data can often get confused or duplicated, providing an unreliable representation of demand. 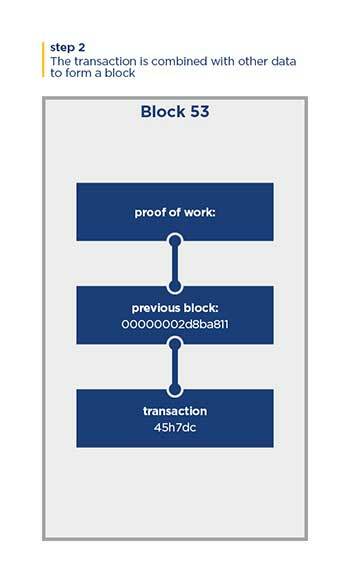 With blockchain, shippers could post timestamped loads that are recorded and verified by the decentralised network. Because of this, a particular load cannot be duplicated and the data will maintain its integrity. This also eliminates the need for a middleman in the form of a broker. Blockchain technology offers both defensive and offensive opportunities to police and security agencies. In particular, blockchain applications could be used by police and security agencies to store and share data and intelligence securely. For example, the United States Air Force has funded research on using a blockchain platform to avoid the tampering of its data. Blockchain could be used to create a global identification infrastructure. Current physical identification issued by Governments is constrained by national boundaries; this is in contrast to borderless digital entities and online identities. “The team there is really sharp on technology deals. They have a tremendous depth of knowledge across the board on that front"
on the world's first syndicated loan using blockchain technology. The €150 million loan was engaged from three banks: BBVA, BNP Paribas and MUFG. Negotiations were conducted quickly over the platform developed by BBVA based on distributed ledger technology. on the establishment of a fintech platform based on blockchain technology to provide access to social impact investment opportunities for UK retail investors, as well as cost-effective financial services for all, including the 1.5 million people who are "unbanked" in the UK. on updating its cyber security policies to comply with regulatory guidance on the best practice for cyber security of cryptocurrency exchanges. on its arrangements with a fintech start-up for the development of a cloud based core-banking platform based on blockchain technology and on the purchase of shares in the start-up. in relation to blockchain technology. on post ICO/ITO regulation of cryptocurrency tokens. Tony is a very experienced commercial/corporate partner. Natasha leads the firm's Virtual Law Project in Australia. She specialises in Distributed Leger Technology, Smart Legal Contracting and Regulation of virtual assets. David is a Partner in TMT, Data & Sourcing practice in the UK. Andrew is Head of the Global Cyber Security practice and a partner in our intellectual property group. Rachel is a Partner and solicitor advocate in the firm's dispute resolution division in London. Danila is a core member of our Pan-Asian energy team focusing on the Asia-Russia & CIS investment corridor initiative and the broader international energy mandates.